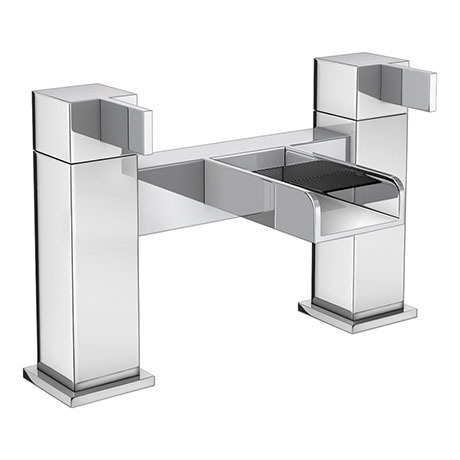 A stylish modern waterfall bath filler, part of our range of designer bathroom taps. Features a minimalist square body with matching sleek lever handles and a waterfall effect open spout. Manufactured from solid brass with a shiny chrome finish. It's contemporary design will bring a touch of sophistication to your bathroom. These are a bargain and look great. Such a good price for something that looks like it cost a fortune, these taps really do finish off our bathroom.